In England, a Protestant who disputes the authority of the Church of England is called a Dissenter, or a non-conformist. In the 18th century, these Dissenters were subject to numerous indignities, and special abuse was reserved for Dissenting ministers. The father of Thomas Taylor was such a minister and, as a result, was impoverished by his convictions. He was described as a worthy and God-fearing man, but it also appears that he was set in his ways and strongly opinionated. He was one of those good souls who made life difficult for himself and others. Into this meager and frustrated atmosphere, Thomas Taylor was born in London, on the fifteenth day of May, 1758. Early admirers referred to this event with philosophical elegance, declaring that on his natal day the soul of the philosopher “descended into this mundane sphere.” While Thomas was still in his trim, his reverent father decided that his son should follow in his footsteps and become a Dissenting minister. It seems, however, that the muses and those tutelary spirits which attend such matters decreed otherwise. When Thomas reached his ninth year, he was sent to St. Paul’s school, a proper atmosphere in which to absorb theology and non-conformism. Even at this early age, the boy gave indications of a contemplative turn of mind. He also revealed a strong spirit and a profound aversion to pedantry and pedagogy. He disliked to listen to the opinions of those whose wordiness indicated no depth of personal understanding. A certain Mr. Ryder, who was one of the masters of St. Paul’s school, became interested in the serious and penetrating mind of young Taylor. When the lesson involved some especially grave or meaningful passage by a classic author, Mr. Ryder would turn to Thomas, saying “Come, here is something worthy the attention of a philosopher.” After remaining three years in this school, young Taylor be-came so thoroughly disgusted with the superficial manner in which classical languages and sciences were taught that he finally persuaded his father to take him home. There were then further family councils and Thomas succeeded in convincing his father that he was not designed by natural endowments for the ministry. This was a great blow, for it seemed to the good man that the career of a Dissenting minister was the highest, noblest, and most enviable employment which the world could offer. Young Thomas was an impetuous fellow, and shortly after his twelfth year he fell deeply in love with a Miss Morton, the oldest daughter of a respectable coal merchant in Doctor’s Commons. She must have been an extraordinary person, for it is recorded that she was younger than Thomas and he had recently passed his twelfth year. Miss Morton, the coal merchant’s daughter, was already highly and technically educated with a profound interest in the most advanced subjects of philosophy. Young Thomas sang her praises constantly, and declared himself to be as much in love as any of the famous heroes of romance and chivalry. His greatest joy was to converse with his beloved or to describe her charms and attainments to any who would listen. It was considered almost incredible by his biographers that this boy, scarcely in his teens, should have been so deeply and lastingly smitten, but future events seemed to indicate that destiny had decreed this association. Taylor’s father found difficulty in deciding a new direction for his son’s future. He was not overly enthusiastic when young Thomas indicated a strong preference for higher mathematics. As a Dissenting minister, the senior Taylor was deeply skilled in modern theology, but was hopelessly deficient in the classical sciences and philosophies. It seemed to him that the boy had chosen a difficult and unpromising field of endeavor. Thomas found it necessary to study at night and to conceal his books, and the long and constant sacrifice of sleep may have contributed to the delicacy of the young man’s constitution. In 1773, when Thomas was about 15 years old, he was placed under his uncle, who was one of the officers of the dock-yard at Sheerness. This worthy uncle believed in keeping young people as busy as possible. Leisure hours were few, but these were used to advance the speculative parts of mathematics, for Thomas was early of the opinion that those sciences were degraded when applied to practical affairs. Thomas was also reading Bolingbroke and Hume at this period. Young Taylor remained with his tyrannical and uninspiring uncle for about three years and, unable to endure longer what he considered a state of abject slavery, sought liberation by returning to the Church. He left Sheerness and studied for two years with the Reverend Mr. Worthington, a celebrated Dissenting preacher. Here he recovered his basic knowledge of Latin and Greek. He did not advance very rapidly, however, because the text with which he worked did not challenge his mind. While he was a pupil of the Reverend Mr. Worthington, Taylor renewed with increased ardor his acquaintance with Miss Morton. It would seem that he maintained a rigorous program. He studied Greek and Latin all day, courted his fair lady in the evening, and read the Latin Quarto of Simson’s Conic Sections at night. In some way, Taylor found it possible during these congested years to approach the study of modern philosophy and, armed with the subtler parts of mathematics, he attacked Newton’s Principia. He never finished the book, however, because he regarded a number of Newton’s Propositions to be plainly absurd. He particularly disapproved of Propositions VI, VII, and VIII in the Third Book. The biographers have noted that up to this point, Mr. Taylor’s life had flowed “limpid and unruffled.” They meant that in comparison to his future adventures, his childhood was scarcely noteworthy. Conspiracy now entered the picture. It was time for Thomas to enter the university, so he bade Miss Morton an impassioned farewell. Her father, the respectable coal-merchant, intended during Taylor’s absence to marry his daughter to a wealthy man who was also courting her most ardently. The young lady, who returned our hero’s devotion with full measure, seeking to protect herself from the tyrannical weight of parental authority, consented to marry young Taylor secretly, under the condition that the marriage would be only a formal one until he had finished his studies at Aberdeen. And so it came about that these remarkable young people were bound in holy matrimony. The secret was soon discovered, however, and a series of distressing parental out-bursts followed. Fortunately, the times were such that even the most desperate and embittered parent would scarcely think of divorce. In time, the rages subsided, and the young couple attempted to establish themselves in a home of their own. It was then that young Thomas discovered that his selection of interests scarcely fitted him for successful employment. For nearly a year, the two young people lived on seven shillings a week. Mrs. Taylor was cheated out of her inheritance by a relative who was left the executor of her father’s estate. The young couple was abandoned by both friends and relatives and, in an emergency, could not borrow ten shillings and sixpence. Finally, Mr. Taylor secured a position as an usher in a school at Paddington. He did not earn enough money so that his wife could be with him, and he was permitted to see her only on Saturday afternoons. He later found the situation of a clerk in Mssrs. Lubbock’s bank in London. This paid him 50 pounds a year, and he received his money quarterly. He was unable to take care of his wife and keep enough funds for his own living. On a number of occasions when he reached his room in the evening, he fell senseless on the floor from malnutrition. At last, he managed to rent a house at Walworth through the assistance of a schoolmate, and here, for the first time, the Taylors were able to experience a frugal family existence. Already, however, Thomas was showing serious impairment to his physical health and, in the years that followed, there was no remedy for this impairment. Settled in his new home, Taylor directed his attention to the study of chemistry, but his selection of texts indicated an inclination toward alchemy. He remained true, however, to mathematics, and having given much attention to the quadrature of the circle, which he believed could be verified geometrically, he published, in 1780, a pamphlet entitled “A New Method of Reasoning in Geometry.” A very small edition of this little work was printed and it attracted slight attention. Later, the substance was incorporated into the first volume of Taylor’s translation of Proclus on Euclid. Up to this time, Taylor’s studies were merely preparing him for the specialization which was to establish his reputation in the literary world. He became acquainted with the treatise of Sir Kenelm Digby On Bodies and Man’s Soul. Digby was a celebrated physician and philosopher of 17th-century England, and is remembered especially for his famous theory of “the weapon salve,” a method of treating wounds by placing the medication on the weapon that caused them rather than upon the injury itself. The remedy was startlingly successful, but one factor in the cure had been generally overlooked--Digby insisted that the wound be kept scrupulously clean. Taylor considered Sir Digby to be a great logician, metaphysician, and universal scholar, whose name should never be mentioned but with reverence for his unparalleled worth. Through Digby, Taylor’s attention was directed to the philosophy of Aristotle, and he had no more than read Aristotle’s Physics when he determined to make the study of peripatetic philosophy the principal work of his life. He was so enthusiastic that he soon fitted himself to read Aristotle in the original, and later remarked that he had learned Greek through Greek philosophy, rather than Greek philosophy through Greek. All this time, Taylor labored in the banking house from early morning to seven o’clock in the evening, and when business was pressing was expected to remain until 9 or 10. He was therefore obliged to do most of his studying at night, and for several years seldom retired before two or three o’clock in the morning. He trained his mind to free himself from all interruption during those precious hours which he devoted to the classics. Neither poverty nor daily responsibility interrupted his dedicated pursuit of knowledge. It was said that, like Penelope of old, Taylor’s ability to pursue his studies under the most trying circumstances was due to the mental discipline which he imposed upon himself. He organized his daily employment so efficiently that he was able to satisfy the exacting requirements of banking and at the same time to carry on philosophical reflections during working hours. As he made out bills, balanced accounts, and interviewed depositors, his mind was busily engaged in expanding lines of thought without making mistakes in either. Through Aristotle, Taylor passed naturally to the contemplation of the works of Plato. As these researches unfolded, Taylor came to the conclusion that the philosophies of Aristotle and Plato might be likened to the Lesser and Greater Mysteries of the Greeks. It was only a step from Plato to Plotinus, whose mystical apperception brought a new and deeper light to Taylor’s soul. He also studied Proclus’ On the Theology of Plato, a work so abstruse that he observed that he did not thoroughly understand its full meaning until he had read it three times. While Taylor was reflecting upon the writings of Proclus, the celebrated Mary Wollstonecraft lived in his home for nearly three months. Taylor considered her a very modest, sensible and agreeable young woman, and she referred to the little room where Taylor studied as “the abode of peace.” When Taylor published his little book A Vindication of the Rights of Brutes, he declared that he had been induced to this particular labor because Mr. Thomas Payne had convinced thousands of the rights of man, and Mary Wollstonecraft had indisputably proved that women are in every respect equal to men. After Taylor had served nearly six years in Lubbock’s Bank, he found it necessary to make an important decision. His health had been so undermined by long hours of un-congenial employment combined with his intensive program of reading and research, that he could no longer continue this double life. He therefore resolved to find a means of creating a career in his chosen field. His first effort was most curious. He attempted to construct a perpetual lamp such as is reported to have been found in ancient tombs. He used phosphorus, and exhibited his creation at the Freemasons Tavern. Due to circum-stances beyond his control, the experiment was not a success, but it did attract several devoted and influential friends through whose assistance he was able to sever his connection with the banking world. Next, at the suggestion of Mr. John Flaxman, the distinguished sculptor and artist, Taylor composed twelve lectures on Platonic philosophy, which he delivered at Mr. Flaxman’s house to a respectable and distinguished audience. His lectures were enthusiastically received and a Mr. Bennett Langton was so impressed that he mentioned Thomas Taylor to the King of England. His majesty, though reminded several times of Taylor’s work, went no further than to express his admiration, although it was hoped for a time that he might become a patron of the scholar. During his lectures, Taylor also met and formed a lasting friendship with Mr. William Meredith, a man of large fortune and liberal mind. Meredith became a staunch supporter of Taylor, and assisted him financially in the publication of several of his books. In 1787, Taylor became acquainted with Dr. Floyer Sydenham, a learned Platonist, who died in prison because he was unable to pay a debt which he owed to the keeper of a restaurant. Dr. Sydenham had come to the study of Plato late in life, but might have advanced to a great knowledge had he not been so limited by infirmity, poverty, and a tragic death. On April 1, 1787, Taylor composed an eloquent panegyric dedicated to Dr. Sydenham, which appeared in seven journals and was reprinted, with some changes, in Taylor’s Miscellanies. About 1791, while working in the British Museum, Taylor discovered a remarkable Hymn of Proclus to Athena. Taylor was fortunate in having the facilities of the Museum at his disposal, for while it was not the institution it is today, it was rich in ancient works, most of which were unknown to 18th-century scholars. It was Mr. Samuel Patterson who recorded the incident which led to the translation of Pausanias, The Description of Greece, which appeared in 1794. Patterson was present, and remarked that the assignment was “enough to break a man’s heart.” The bookseller replied easily, “Oh, nothing will break the heart of Mr. Taylor.” The work was completed in ten months, including all the notes and addenda, and for his labor Taylor received sixty pounds. The strain of this assignment was so great that when the manuscript was finished Taylor lost the use of the forefinger of his right hand, which he never regained. During the six years between 1795 and 1801, Taylor translated the remaining dialogues of Plato which had not been completed by Dr. Floyer Sydenham, and continued his work upon the writings of Aristotle. During this period also, he contributed to several periodicals, where some of his most important writings first appeared. About 1799, Taylor became assistant secretary to the Society for the Encouragement of Arts, Manufactures, and Commerce. Through the efforts of his friends, he secured a large majority of votes for this office, but he was forced to relinquish it because his health would not permit the additional exertion. Soon after this, he engaged in a philosophical controversy with Dr. Gilles, whom he vanquished to the satisfaction of everyone except Dr. Gilles. About this time also, Taylor paid a special tribute to William George Meredith to whom he expressed deepest friendship and the most profound gratitude for his continuous assistance and inspiration. He also answered Dr. Gilles in a pamphlet published in 1804. The Miscellanies in Prose and Verse, which appeared in 1805, is especially interesting because it contains Taylor’s original summary of Platonic philosophy under the title The Creed of the Platonic Philosopher. At this time, Taylor was also at work on his original translation of the complete Aristotle in ten volumes, which is the most rare of his productions. He said that only fifty copies would be printed of each volume, and that they would be distributed according to his own discretion. Unfortunately, this monument to erudition has never been reprinted, and complete sets are almost unobtainable. Mr. Bridgman, the critic who reviewed this work, was as unpleasant as possible; but he is forgotten, and Taylor’s memory remains green. In 1809, the audacious Mr. Taylor published anonymously his Arguments of the Emperor Julian Against the Christians. This book had the distinction of being rigidly suppressed and most of the copies destroyed. We are fortunate in having an original copy of this book, which belonged to an intimate friend of Taylor’s, in our library. Thomas Taylor wrote his own epitaph, and it would be difficult to imagine lines more appropriate. “Health, strength, and ease, and manhood’s active age, Freely I gave to Plato’s sacred cave. The following description of Mr. Taylor will help to complete the picture. He was described as of medium size, well-proportioned, with an open, regular, and benevolent countenance. There was a quiet dignity about him, but no intellectual affectations of any kind. His manner was such that he won the friendship and affection of all who knew him well. His dress was simple, and his conduct irreproachable. Even among friends, he would never compromise his principles, but he was free and easy, and never attempted to dominate situations. As he grew older, his appearance became memorable, but his manner was always gracious, without pride, haughtiness, or vanity. He had an extraordinary memory, which was always available, and he was an acute ob-server with a profound understanding of human nature. A wonderful conversationalist, he possessed an inexhaustible fund of anecdotes, and was able to entertain his associates without ever becoming personal or referring to his own joys or sorrows. Though a profound mathematician, he had none of the attributes of a traditional scholar. His abilities were diversified, but his purpose always the service of truth. Taylor has been called the Great English Pagan, and it seems that he even attempted, in a quiet way, to re-establish some of the rituals of the Greek religion. Early in their marriage, he taught his wife the Greek language, and it was used extensively in their home. There is a report that in order that he might more readily comprehend the times and circumstances of the great philosophic era, he lived in a Grecian fashion, even in matters of food and clothing, but of this we can find no documentary proof. The interest in the work of Thomas Taylor has increased through the years, and his books, which have remained scarce from lack of reprinting, are highly regarded by all students who wish to understand the soul of classical thinking. A tribute to his memory is both proper and timely. Thomas Taylor produced some of the most insightful translations of the work of Plato even written, his series not only included excellent translations but commentaries by later Platonists including Proclus, Hermias, Damascius and Olympiodurus. For anyone interested in philosophy, the Mysteries and esotericism his works are of great significance. For many years only a small selection of his translations were available, many through the Philosophical Research Foundation in the USA. Recently, the Prometheus Trust in England has published a definitive set of his work. The Thomas Taylor Series includes 26 volumes, all cloth bound in Arbelave Library buckram and printed in a easy to read modern typeface on wood-free paper. Many of the works in this series have never been republished since their original release during Thomas Taylor’s lifetime. This is a superb collection which deserves a place in the library of anyone with an interest in philosophy and more especially an interest in the religious and esoteric traditions as represented within Platonism. The Prometheus Trust is also publishing the Collected Works of Proclus, the Collected Works of Iamblichos and a ten volume series of the works of Aristotle. 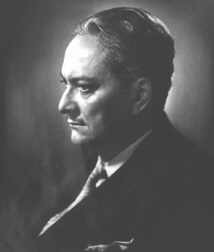 One of the metaphysical giants of the Twentieth Century, Manly P. Hall spent decades researching eastern philosophy, occult studies, astrology, and a wide variety of related topics at a time when such subjects were still unknown territory in the western world. It is in no small measure due to his extensive writings and teachings that these subjects are so widely known today. A prime example of the visionary Balsamic Moon type, Hall had Sun in Pisces, Moon in Aquarius. He earned a PhD in literature, was a 33rd Degree Mason, and wrote over 200 books. In 1934, Hall founded the Philosophical Research Society, which continues his work and preserves his legacy today. An extensive tribute and biography is available at their website.